President Donald Trump has been portrayed as a protectionist. His immediate cancellation of the Trans-Pacific Partnership (TPP) upon assuming the presidency, as well as his support for the border adjustment tax proposed by the Republican leadership in Congress, seems to confirm this portrayal of his foreign economic policy leanings. However, a different conclusion emerges from a closer reading of Donald Trump’s business interests, of his trade agenda as published in the 2016 Annual Report on the Trade Agreements Program by the Office of the United States Trade Representative (USTR), and of American trade negotiation history. Trump will use large trade deficits to pressure trading partners to open up their markets. Companies which are successful in exporting to the U.S. market from those countries will be scared by protectionist announcements and will therefore most likely pressure their governments to give in to the demands of the Trump administration. In other words, the Trump administration will further the liberalization of cross-border economic activities. From the perspective of development economics, one could call it protectionism, because it is about protecting the interests of the most advanced U.S. corporations which operate on the basis of intellectual property rights and access to large-scale data. Donald Trump is not engaged in businesses that face import competition. His real estate business in the U.S. is quite dependent on the flow of foreign finance. He has made ample use of foreign banks to finance his projects. His business abroad is based mostly on fees for branding, that is fees for using his name in different projects. His lawyers are, therefore, trying to secure trademark protection for his name in as many countries around the world as possible. Therefore one can assume that the free flow of capital and the protection of brand names are important for him as a businessman. The president’s trade policy agenda emphasises “breaking down unfair trade barriers in other markets” (USTR 2017: 1). The agenda is about promoting “reciprocity with our trading partners (USTR 2017: 1) and this shall be done by using “all possible sources of leverage” to “open foreign markets” (USTR 2017: 2 and 4), specifically by means of bilateral and not multilateral negotiations. 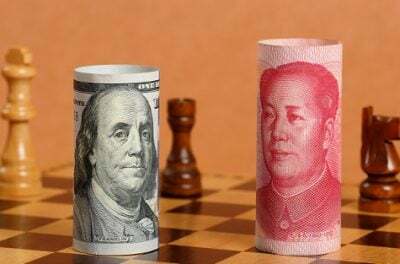 In such negotiations, the country with the larger purchasing power has an advantage because companies from the other country are more dependent on the larger market for their profitability than vice versa. The U.S., with the biggest market and the biggest trade deficit, is clearly in a strong position in relation to all other nations, except possibly those collected in the European Union. The agenda also mentions the specific tool that should be used in bilateral negotiations: section 301 of the Trade Act of 1974, also called Super 301. Super 301 “authorises the USTR to take appropriate action in response to foreign actions that (…) are unjustifiable, or unreasonable or discriminatory, and burden or restrict United States commerce” (USTR 2017: 3). Who has the right to determine what is unjustifiable? Under this law it is the presidency. However, the U.S. became a member of the World Trade Organisation (WTO) in 1995. The WTO includes a dispute settlement process. While the U.S. president might consider a trade measure of another country unjustifiable and respond with, for example, a retaliatory tariff under Super 301, the sanctioned country has the right to challenge the retaliatory measure in the dispute settlement process. Thus it will be the WTO dispute settlement board that will ultimately decide whether the trade practices of the incriminated country were justifiable or not. “The Uruguay Round Agreements Act states that, if a WTO dispute settlement report ‘is adverse to the United States, [the U.S. Trade Representative shall] consult with the appropriate congressional committees concerning whether to implement the report’s recommendation and, if so, the manner of such implementation and the period of time needed for such implementation’,” (USTR 2017: 3). This prerogative is being reclaimed to make Section 301 effective again. The 2017 Trade Agenda names some of the so-called trade barriers which the administration wants to address. Securing the intellectual property of U.S. corporations is first on the list of specific negotiation objectives (USTR 2017: 2 and 4), and is also mentioned in the May 12 draft letter concerning NAFTA renegotiations. Next on the list are restrictions on the flow of digital data and services (USTR 2017: 4). In the negotiations over the Transatlantic Trade and Investment Partnership (TTIP), the U.S. negotiating team criticised the European Union for requiring data to be processed within the confines of the European member states. Robert Lighthizer, the U.S. trade representative under Trump, criticised the aborted Transpacific Partnership for a ban on data localization that excluded the financial services sector, and for excluding tobacco products from the investor-state dispute settlement mechanism (Leonard 2017). Among the other practices that are supposedly hurting U.S. businesses, the trade agenda mentions foreign government subsidies, unfair competitive behaviour by state owned enterprises, and currency manipulation. China is not specifically mentioned, but it is the obvious target given policy statements from members of Trump’s team and the general thrust of the 2017 Trade Agenda paper. The agenda blames China’s accession to the WTO for the loss of manufacturing jobs in the U.S. (USTR 2017: 6) and calls for a systematic analysis of economies “that do not fully adhere to free market principles” and criticises those countries “whose legal and regulatory systems are not sufficiently transparent” (USTR 2017: 5). In listing the key objectives of the new trade agenda, “ensuring that U.S. workers … have a fair opportunity” comes first. Among the concrete items, one also finds a bullet point for “enforcing labour provisions in existing agreements.” These provisions refer in the main to enabling rights such as freedom of association and the right to collective bargaining. It does not seem likely that the enforcement of these labour rights clauses will be a priority, against the background of the anti-union behaviour of Trump’s businesses and his first choice for labour secretary, a fast food executive with a long record of labour law violations. The TPP envisioned rather effective labour rights clauses, but these had been the target of Republicans in Congress and, as already mentioned, Trump’s first trade action was to withdraw from TPP. (The Transatlantic Trade and Investment Partnership was spared because of its low profile in the USA.) It seems more likely that President Trump will take a leaf from the book of the Russian president, Putin, and will try to gain workers’ support by rescuing individual plants from closure as he has already done as president elect. Using the trade deficit to pry open foreign markets has a historical precedent. Against the background of a meteoric rise in trade deficits during the Reagan years, “strategic trade policy” became popular among some economists. It would force other countries to open their markets by threatening to close the U.S. market. In addition to companies from the high technology sector, suppliers of sophisticated services and owners of copyrights joined the group of open market strategists. Together with various think tanks, they popularized the notion that services could be rendered transnationally, that national regulations of the respective sectors prevented this, and that, consequently, these barriers had to be dismantled by tough negotiations. The nationalist rhetoric camouflages neoliberal objectives which would provoke resistance if they were openly stated. Paradoxically, the trade deficit gave the U.S. bargaining power. Foreign countries were much more dependent on access to the U.S. market than the U.S. economy was on access to foreign markets. Thus Washington could function as a battering ram against the national self-interests of transnational corporations from other countries. The threat of imposing sanctions – occasionally enforced – compelled not only Japan but also Western Europe to lower non-tariff trade barriers and to deregulate their economies. At that time, U.S. demands were welcomed in both regions by many economists, the top leadership of business groups, and parts of the ministerial bureaucracies (Scherrer 1999). The Trump administration is still in its infancy, and his nominee for the office of the United States Trade Representative has only recently been confirmed by the Senate. An assessment of Trump’s trade agenda is, therefore, fraught with uncertainties. Nevertheless, there are good reasons to believe that his “America first” strategy includes the threat of protectionism but aims to gain access to other countries’ markets for the USA’s technologically advanced companies. The deficit may well function as a battering ram against the national self-interests of corporations in other countries. Strengthening the rights of corporations is always at the expense of labour. Christoph Scherrer is Professor for Globalization and Politics at University of Kassel, Germany. He is also executive director of the International Center for Development and Decent Work and a member of the steering committee of the Global Labour University, where this article was first published. Leonard, J. (2017) Lighthizer says renegotiated NAFTA could go beyond TPP provisions , in: Inside U.S. Trade’s World Trade Online. Scherrer, C. (1999) Globalisation against will? The enforcement of liberal foreign trade policy in the USA (in German). Berlin, Edition Sigma. USTR (2017) “2017 Trade Policy Agenda and 2016 Annual Report,” Office of the United States Trade Representative, Washington.